Lynell Cadray, vice provost for Emory’s Office of Equity and Inclusion, is among a dozen women tapped to receive the 2017 “Most Powerful and Influential Woman Award” from the National Diversity Council. Cadray will receive the award next month at the council’s Georgia Leadership Conference in Atlanta. She is among a handful of top female executives working within the realms of business, law, health care, banking, higher education and professional sports to receive this year’s honor. The National Diversity Council is a non-partisan, nonprofit organization dedicated to serving as both a resource and advocate for the value of diversity and inclusion. The award seeks to recognize and honor women who have not only achieved personal success, but who have made it possible for others to more easily follow in their footsteps. Among a broad range of criteria, honorees are evaluated on their leadership, professional accomplishments and contributions, impact within their organization, commitment to community, and ethical standards. 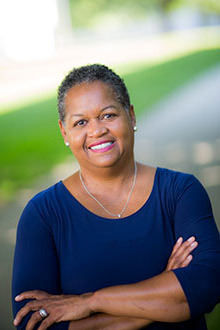 In her role at Emory, Cadray provides leadership for issues related to diversity, equity and inclusion, EO/AA compliance officers, investigators, ADA compliance officers, Title IX, faculty and senior administrative diversity and affirmative action guidelines. She not only monitors the university-wide compliance on these issues, but also recommends measures to ensure compliance. Cadray works directly with Emory University’s faculty search committees in support of university goals and training related to the search and hiring process to help achieve diversity among faculty and senior administrators. In that role, she analyzes data related to campus climate, diversity, sexual harassment and the Americans with Disabilities Act (ADA). She also develops educational programs to address issues of equity and compliance, including the creation of policies and procedures for matters involving affirmative action, ADA, Title IX, grievances and discrimination, Vietnam Era Veterans Readjustment Assistance Act, civil rights and social justice issues. Cadray also fields discrimination and harassment complaints among Emory faculty, staff, students and third parties and creates strategies to address these concerns. Cadray collaborates with the offices of the university’s president and provost and other senior leadership on issues related to equity and inclusion. She brings over 30 years of diversity experience in higher education to the workplace. Prior to her appointment in Emory’s provost office in 2014, she served as the first chief diversity officer for Emory’s Schools of Law and Nursing. In 2014, Cadray received the Award of Distinction at Emory and she was awarded the 2016 Distinguished Leadership Award for Women of Excellence at Emory, sponsored by the Center for Women at Emory. Cadray has become a leading group facilitator on unconscious bias and implicit associations, leading a group of 15 university facilitators. In 2016, she presented this training in partnership with the White House Staff on Science and Technology under the Obama Administration and conducts trainings throughout the Atlanta metropolitan area.